If you have been searching for a place on the Florida Gulf Coast that has it all, look no further than Port Royal. Classified as part of the greater Naples metro area, Port Royal truly offers the best of both worlds to residents, not only is it just minutes away from a great metropolitan city, it also has the natural beauty, beaches and atmosphere and privacy of a luxury tropical island. 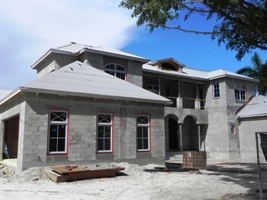 More about Port Royal Homes for Sale. If you have been searching for a place on the Florida Gulf Coast that has it all, look no further than Port Royal. Classified as part of the greater Naples metro area, Port Royal truly offers the best of both worlds to residents, not only is it just minutes away from a great metropolitan city, it also has the natural beauty, beaches and atmosphere and privacy of a luxury tropical island. What separates Port Royal Naples, Florida from other areas in southwest Florida is the pure luxury of the community. Port Royal has been a destination hot spot since the early 1950's and 1960's when people began to realize the potential of the Naples area. With the beautiful sandy beaches, waterfront ocean and canal homes, and a prime location just minutes from the center of Naples, this area soon became an area synonymous with luxury. At the same time, the Port Royal Club was being built. Now, over 50 years later, the Port Royal Club offers Port Royal residents all of the amenities they could ever need. The club offers members, who are predominately Port Royal residents, a number of high class dining options, as well as a pristine beach, an Olympic sized swimming pool, tennis courts, a spa, and world class fitness training. Membership to the Port Royal Club is very exclusive, and just indicates the type of ultra luxury amenities residents of the Port Royal area are exposed to. In terms of beaches, Port Royal is hard to beat. The surroundings areas were voted as the number one beach in the United States by the Travel Channel only a few years ago. Sitting right on the edge of the Gulf of Mexico, Naples Bay and Dollar Bay, Port Royal has a number of canals that wind through the town, making it virtually impossible not to have a home that is either on the water or has a magnificent water view. For many who are familiar with the area, Port Royal real estate is some of the most coveted in southwestern Florida in part because of these waterfront homes that offer not only incredible ocean views, but that also have private docks to accommodate yachts of up to 100 feet in length. Another fantastic benefit of Port Royal is its privacy. Because of the exclusivity of the neighborhood, it is not surprising that there are more than a few celebrities and athletes that make Port Royal their home. Being just steps from private beaches, the Port Royal Club, the nightlife of Naples and over 80 world class golf courses, ensures that there is plenty to do in the region. But in order to truly get away from it all, and enjoy the peace and quiet, residents love the privacy of Port Royal. As impressive as the beaches of Port Royal are, the quality of homes might be the true selling point. Most of the approximately 550 estates that have been built on Port Royal easily reach well over 5,000 and 6,000 square feet, providing plenty of space for a growing family, or residents who are looking for the perfect vacation home. It is not uncommon to find these homes have the most high end luxury features available on the market today, truly gourmet kitchens with high end appliances, luxurious bathrooms with Jacuzzi soaking tubs, and Mediterranean style wine cellars, that have enough space for even the most savvy of collectors. For those who have spent time looking for Port Royal homes for sale, the amenities in the neighborhood don't disappoint. Simply follow the famous 5th Avenue north to downtown Naples and be in the center of it all. There area residents can easily spend an afternoon wandering Gallery Row for antiques and other valuables. Or, spend a night out on the town dining at one of Naples many waterfront establishments, followed by a relaxing evening at the Philharmonic Orchestra or the Gulfshore Playhouse. 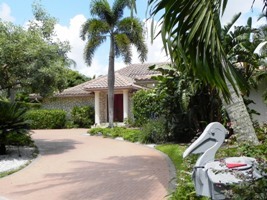 There is no shortage of activities for any taste or desire in the Port Royal and Naples area. Residents of the Port Royal community find that they love the amenities the area offers, from waterfront views, to private docks, to the nearby vibrancy of downtown Naples and of course, the Port Royal Club. For them, the area truly presents the total package. 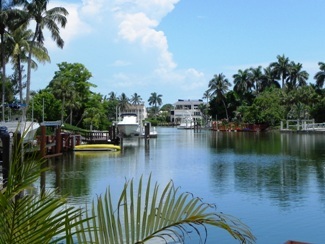 Contact "The Meadows Team" for more information regarding Naples Florida Real Estate for Sale.